As I said above, when someone criticises your writing, it might feel like a personal attack, but it is not. At the end of the day, you need to keep in mind that it is not about you, but rather about the piece of work that you have produced. Perhaps they don’t fully understand or appreciate what you are saying. Maybe they hold a different opinion, or would have gone about it in a different way. Whatever it is, you can’t please all of the people all of the time, so try not to take it to heart. If you are feeling brave, engage in a discussion about what it was they didn’t like. Get some in depth feedback, then you can choose what to take on board and what to ignore. And if all else fails, pretend it never happened and move on. Nobody likes to be criticised because it makes us feel inadequate. The thing is, none of us are perfect, and even the best writers have flaws. Criticism is part of life, and it is better to deal with it early on. If you feel that the criticism you received is unfair, you can always take on your critic. Try to explain what you meant and where you were coming from. Bear in mind that this isn’t always productive. Sometimes it’s better to just ignore it and move on. The way we handle other peoples’ negative opinions is going to determine if we grow or stagnate. Perhaps the criticism is an opportunity to improve and get better at your art. There is nothing wrong with getting help if you need it, whether online or asking a friend. All you are doing is improving your writing skills, and no one can criticise you for that. As a writer, you probably have more than one project going on at the same time. So if one seems not to be going to plan, put it on the shelf for a while and work on something else. I am not saying that you should give up on any of your projects, but sometimes it is just one piece of writing that might need more work, and if it’s not going well it might start to get you down. So take a break and do something else you enjoy. You are not defined by one manuscript or article. You want to make sure that you don’t pour all your energy into one project and let that define you. There is more to you and a lot more that can be done. So even if one of your projects fail, at least you know that you are already working on something else. Keep the faith. Sometimes people with no knowledge of writing want to give you their opinions. There comes a time where you have to start believing in your abilities and take these comments with a grain of salt. Not every negative opinion is correct, and you might just have to leave things as they are. Be careful who you listen to. I would much rather take criticism from people in the industry, than from someone with no writing experience. That said, even if your editor tells you that your writing is not up to scratch, you need to be willing to fight for what you believe in. There is nothing wrong with you trusting your work above the opinions of others. In fact, that shows that you are evolving and trusting in your skills. If the criticism is constructive and you agree, go with it. If not, get more information and stick to what your gut is telling you. There are moments when the criticism you receive is valid, and you just need to accept it. After accepting that you are a human being that makes mistakes, you then need to move on. This moment does not define who you are or what type of writer you are. As long as you are growing through the process, it is all worth it. Allow yourself to make mistakes and do not beat yourself up about it. Many writers struggle to get their work published, but they did not let one ‘no’ stop them from pursuing their goals. 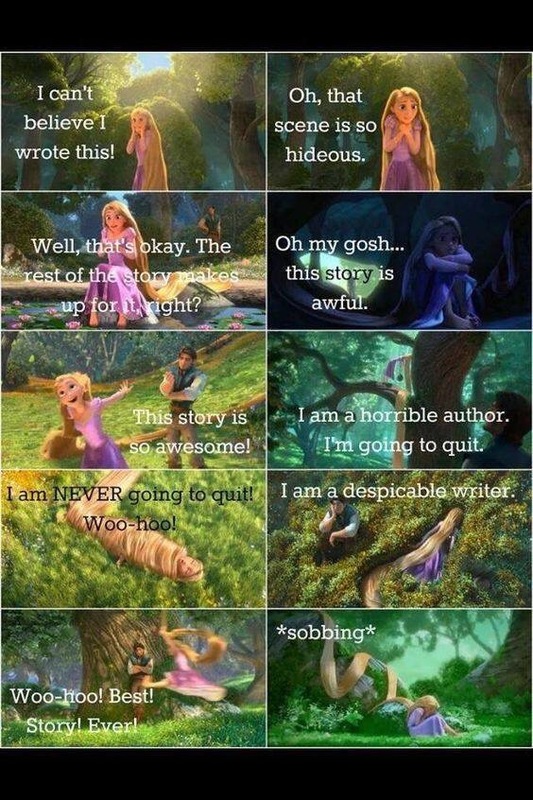 And every writer gets the odd bad review. You are going to have to grow a tough skin and understand that this is part of the job. It doesn’t mean that you are a bad writer, but rather that you are still learning and growing. If the critic is correct in what they have to say, or if they have a different opinion, you should just accept it and move right on. Being a writer is all about discovering who you are through your thoughts and written work. There is no end to this journey, and just like we evolve as people, we evolve in our writing skills. Using online tools like a grammar checker does not mean that you are not good enough. It simply means that you are using everything available to you in order to learn and succeed. Hold on to your goals and dreams and do not let one bad comment move you away from the path you are on. There will always be bumps in the road, but you need to get right back up and keep moving forward.